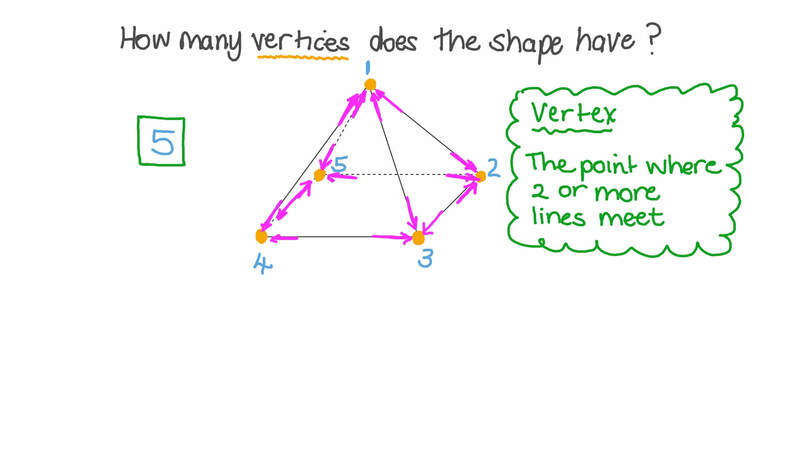 In this lesson, we will learn how to identify and name some three-dimensional shapes based on the number of their faces, edges, and vertices. 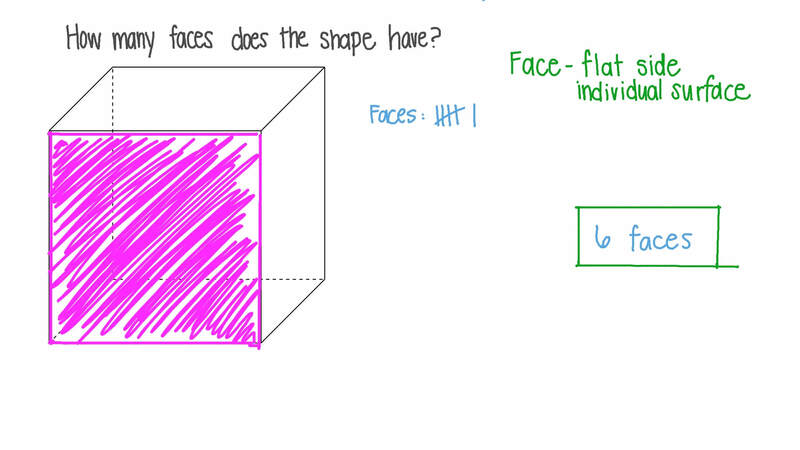 How many faces does the shape have? How many vertices does this cone have? 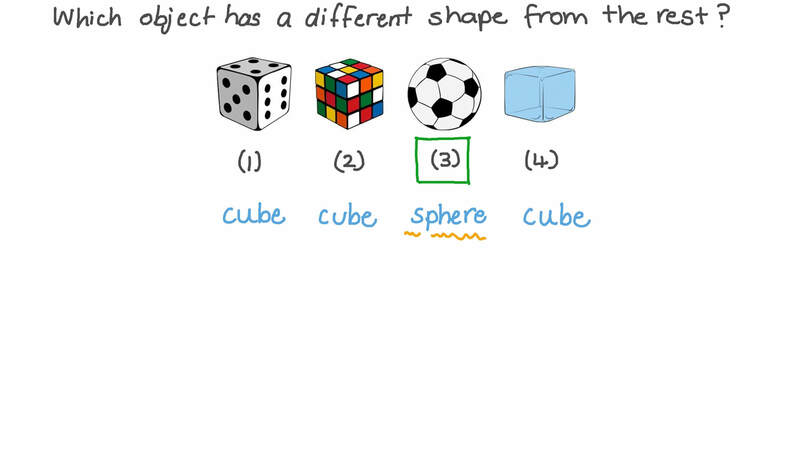 Which object has a different shape from the rest? For the figure below, identify the shape of the base(s). Then, classify the figure. How many edges does the shape have? How many straight edges does this cone have? How many bases does this cone have? How many bases does a cylinder have? This pyramid has 5 faces. What is the following geometric figure? Identify the given three-dimensional figure. Which of the following shapes is a cone?